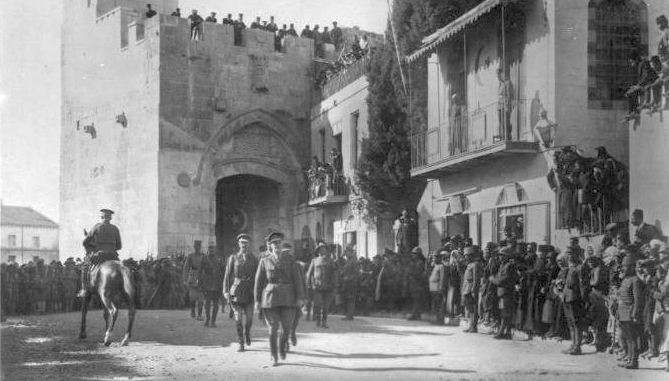 1917: British Capture Jerusalem from the Turks? historical event: Before this British conquest of Jerusalem in 1917, the last time the city was a Christian city was back in 1244 when it was ruled by the Crusaders. On this day in 1917, a Christian army occupied Jerusalem for the first time after it had been in Muslim hands for 673 years. 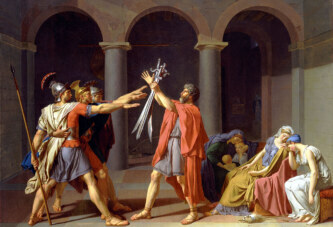 Namely, the last time Jerusalem was a Christian city was back in 1244, when it was ruled by the Crusaders. The Christian army that on this day in 1917 occupied Jerusalem was the British one. This occurred during World War I, in which the United Kingdom and the Turkish (Ottoman) Empire were on opposite sides. The British Army in Palestine defeated the Ottoman army, which had been supported by the Germans. It is interesting that even units of the Austro-Hungarian Empire fought on the Turkish-German side. The commander of the defeated Ottoman units was German Field Marshal Erich von Falkenhayn, who had the highest rank of marshal (Turkish: müşir) in Turkish army. Victorious British general was the famous Edmund Allenby, later promoted to field marshal and was created a British viscount. Allenby was one of the most successful British commanders in World War I and had the nickname “Bloody Bull”. He was appreciated by the famous Lawrence of Arabia, with whom he collaborated in the fighting in the Middle East. It is interesting that General Allenby, after conquering Jerusalem, solemnly entered into it on foot rather than on horseback. That way he wanted to show reverence towards that sacred place, unlike German emperor Wilhelm II, who, when visiting Jerusalem in 1898, arrogantly rode in on horseback.